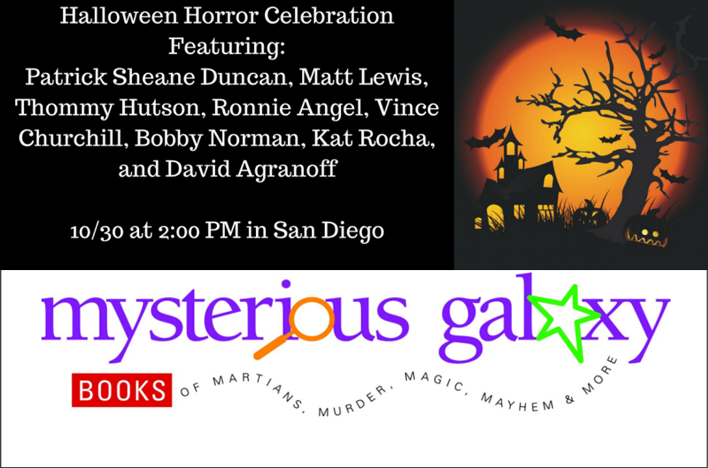 Come check us out this Sunday at Mysterious Galaxy, San Diego's biggest and best bookstore for Sci-Fi, Fantasy & Horror! The show will also feature Patrick Sheane Duncan, Tommy Hutson, Ronnie Angel , Vince Churchill, Bobby Norman, Kat Rocha, and David Agranoff . Advance copies of States of Terror 3 will be available!